Austin University astronomers, in collaboration with Google, have discovered two other hidden planets in the Kepler Space Telescope Archive using artificial intelligence (AI). The technique is promising for the identification of many additional planets that could not capture conventional methods. 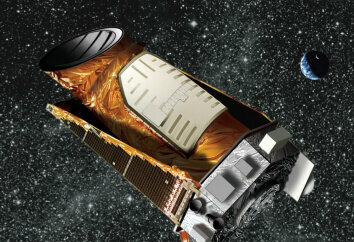 The planets discovered this time were from Kepler's extended mission called K2. To find them, the team, led by a university student at UT Austin, Anne Dattilo, developed an algorithm that tracks the data inherited from Kepler's signals missed by traditional methods of planet hunt. In the long term, the process should help astronomers find much more missed planets in Kepler data. The findings were accepted for publication in an upcoming issue of The Astronomical Journal . 7, Vanderburg and Shallue first used the AI ​​to unveil a planet around a Kepler star – which already hosted seven planets. The discovery made the solar system the only one known to have as many planets as our own. "It is more difficult with K2 data to work because the spacecraft is constantly moving, "explained Vanderburg. This change occurred after a mechanical failure. While the mission planners found a workaround, the spaceship was left to wobble, which the AI ​​had to consider. The Kepler and K2 missions have already discovered thousands of planets around other stars, and just as many candidates await confirmation. Why do astronomers have to use the AI ​​to search for more in the Kepler archive? "The AI ​​helps us to consistently search the dataset," said Vanderburg. "Even if every star has a planet earth-sized around it, we will not find it all with Kepler, it's just that some of the data is too loud or the planets are sometimes misaligned, so we need to know it's one There are lots of planets that we can not see for these reasons. "If we want to know how many planets there are in total we have to know how many planets we have found, so we also need to know how many Planet we have missed. That's where this comes into play, "he explained. The two planets found by Dattilo's team," are both very typical of planets found in K2, "she said. They are very close to their guest star, they have a short orbital periods, and they are hot. They are slightly bigger than the earth. One of the two planets is called K2-293b and orbits a star 1.300 light-years away in the constellation Aquarius, the other, K2-294b, orbits a star 1,230 light-years distant, also in Aquarius. After finding these planets using the algorithm, the team studied the host stars with groundscopes to confirm that the planets are real, using the 1.5-meter telescope at the Smithsonian Institution's Whipple Observatory in Arizona and the Gillett Telescope at the Gemini Observatory in Hawaii. The future of the AI ​​concept for finding data-hidden planets looks bright The current algorithm can be used to study the entire K2 Dattilo said, about 300,000 Star, she also believes that the method is applicable to Kepler's successor planetary chase mission TESS, which started in April 2018. Kepler's mission ended in same year. Dattilo Plans, c She continues her work with KI for the Planet Hunt as she enters graduate school in the fall.